*Property Under Contract. No More Showings*This is a show stopper! Gorgeous remodel with attention to every detail is ready for you. Beginning with your beautiful french doors, enter into an open family room & separate den both with wood burning fireplaces, & both accessible through your stunning, new open kitchen. Lots of natural light shines through large windows & sliding glass doors. 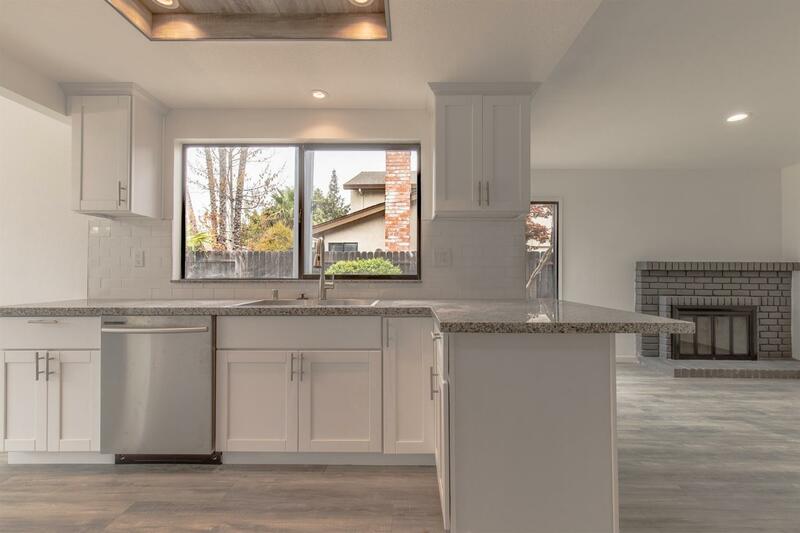 The new flooring leads you to updated bedrooms, & spa like bathrooms, including a master with floor to ceiling tile & frame-less shower glass. Finishing touches include brushed nickel hardware, chandeliers, & artistic lighting alcove in kitchen. Enjoy life in your wonderfully located home--close to parks, shopping, freeway, and Downtown.